Old streetlamps are scrapped and disposed of when replaced by LED lights. As they were used in Tokyo until very recently, each of these streetlamps is riddled with countless small marks, dents, and discolored areas that bear witness to long years of use. Cables that are typically buried underground and out of sight extend from the base of a streetlamp hung from the ceiling. 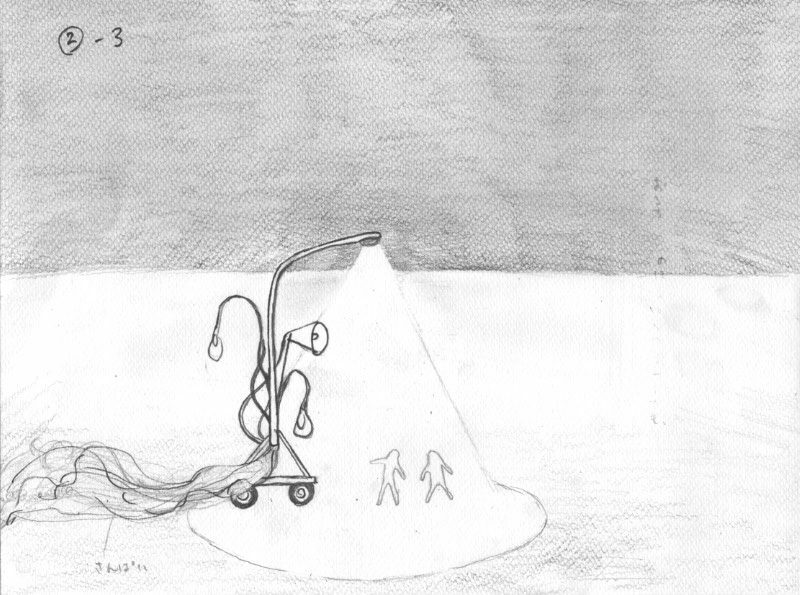 Whenever these cables come into contact with a cube-shaped mass of compressed empty cans, the streetlamp lights up for an instant, as if it had been raised from the dead. Just next to this is a series of miniature streetlamps arranged to form a sculpture that lights up periodically, thanks to the same structure. 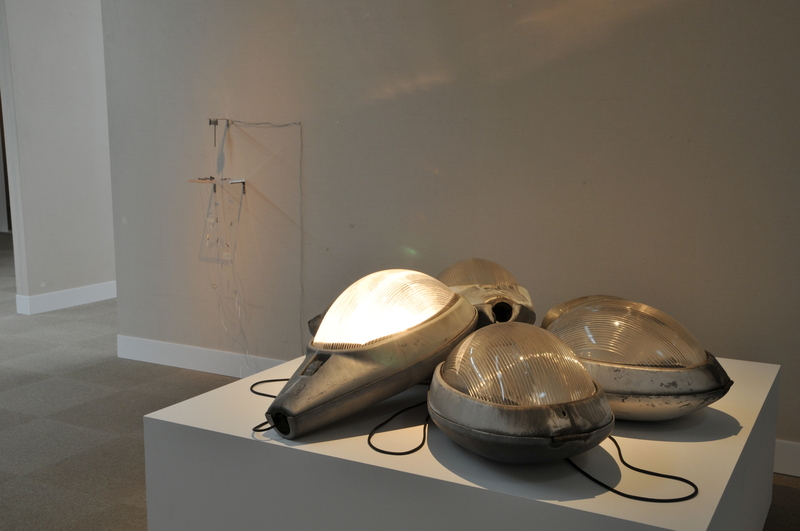 Mohri likens these sculptures, which emit light as if they were telegraphing Morse code, to an archipelago, or a series of topographical features that form a string of islands. Just like the Mediterranean islands nurtured by ancient Greece where each island gave rise to a different society, a unique harmony based on interaction, exchange, and a sense of collective solidarity can be found here. 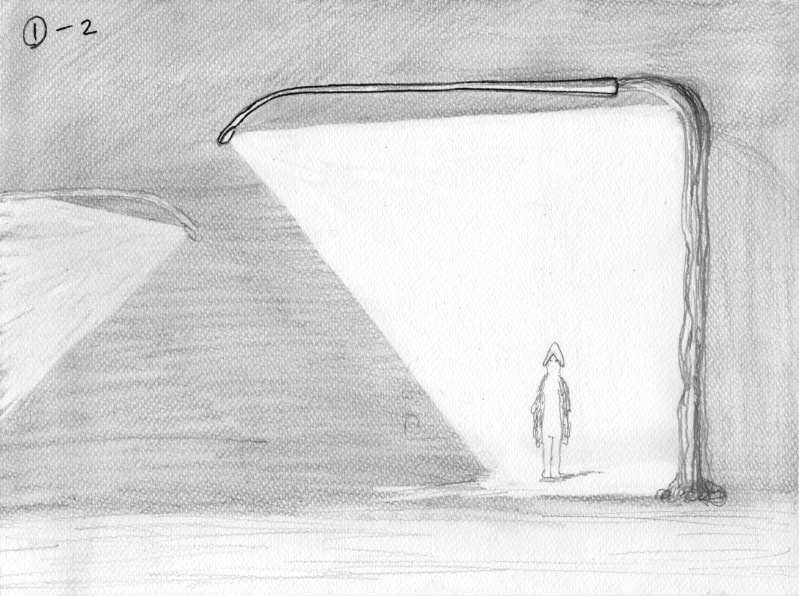 Waste materials like streetlamps and empty cans, by serving as intermediaries that generate energy, cause the light from a streetlamp to stutter to life. 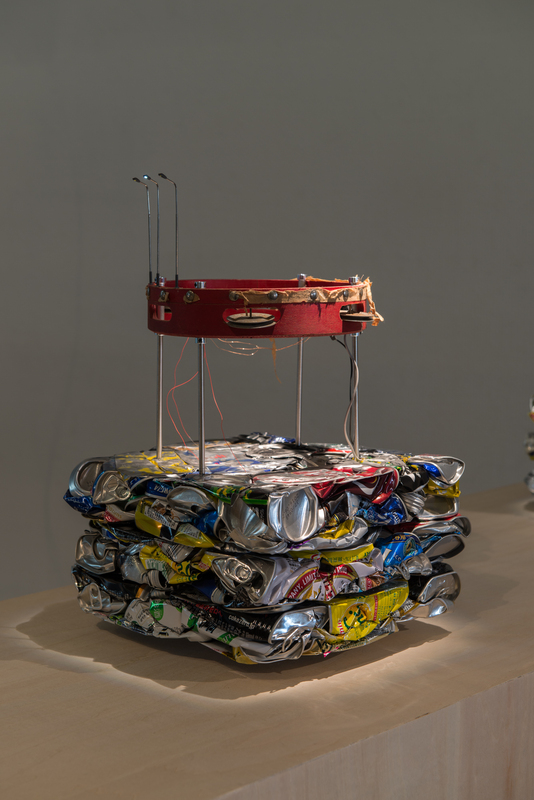 Faced with this work, the viewer is made conscious not only of the cycle involved in reusing discarded objects, but also the cycle of these images themselves. 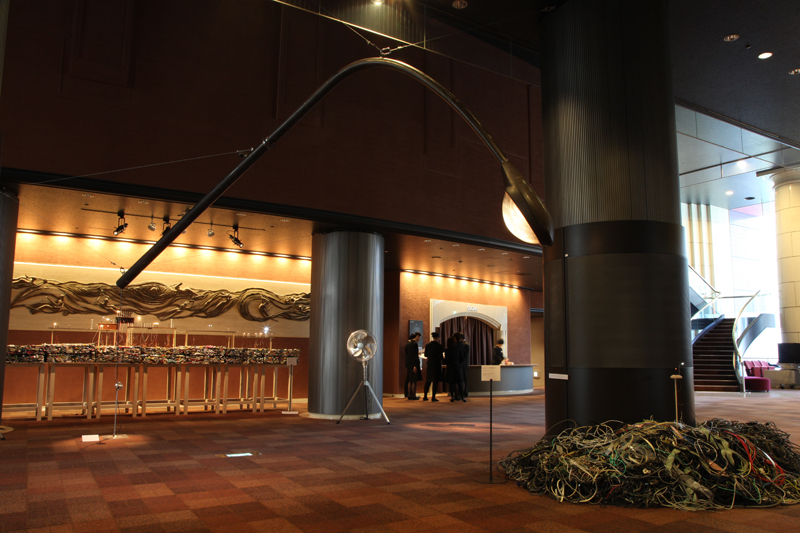 Urban Mining is a work that incorporates disused streetlamps, discarded cables, empty cans, and other waste materials. 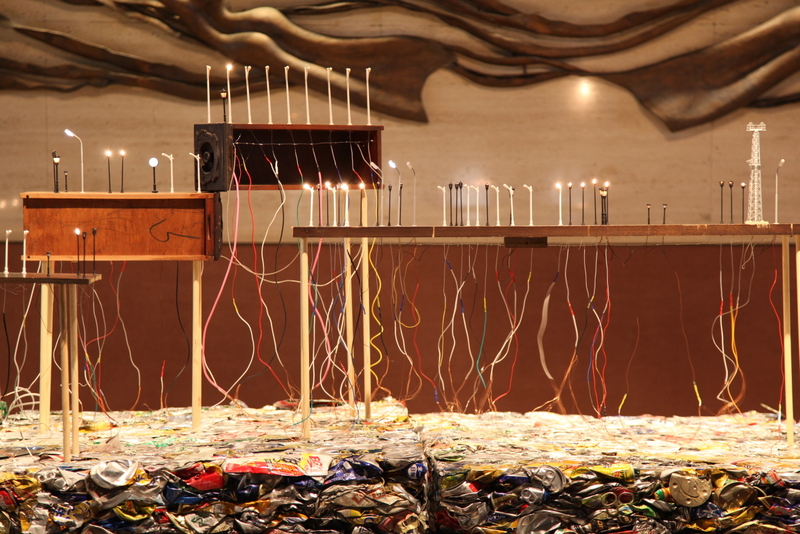 An electric current flows through the layers of empty cans, while the wind and faint vibrations generated by fans cause the cables to touch each other in a random fashion, acting as a trigger that lights up the streetlamps and illuminates the miniature models. 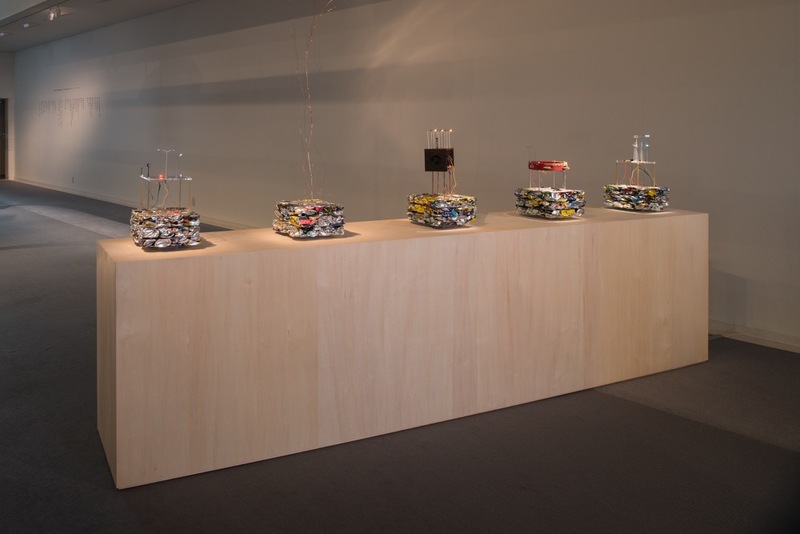 The name of this work is inspired by the “urban mine” of useful resources that can be found in the huge quantities of discarded products in the city, as well as the IT/computing term “mining,” which is used to refer to the act of analyzing large volumes of data. 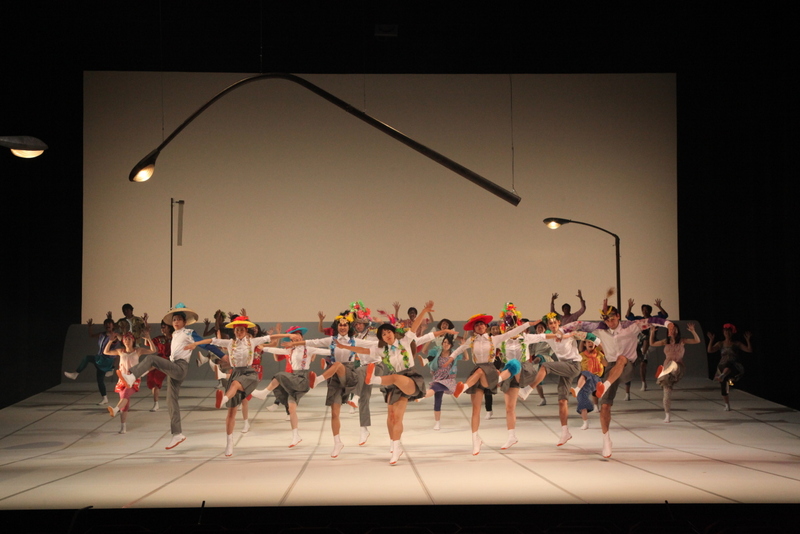 Urban Mining: for “The Rite of Spring” was developed as part of the set design for Igor Stravinsky’s ballet The Rite of Spring. 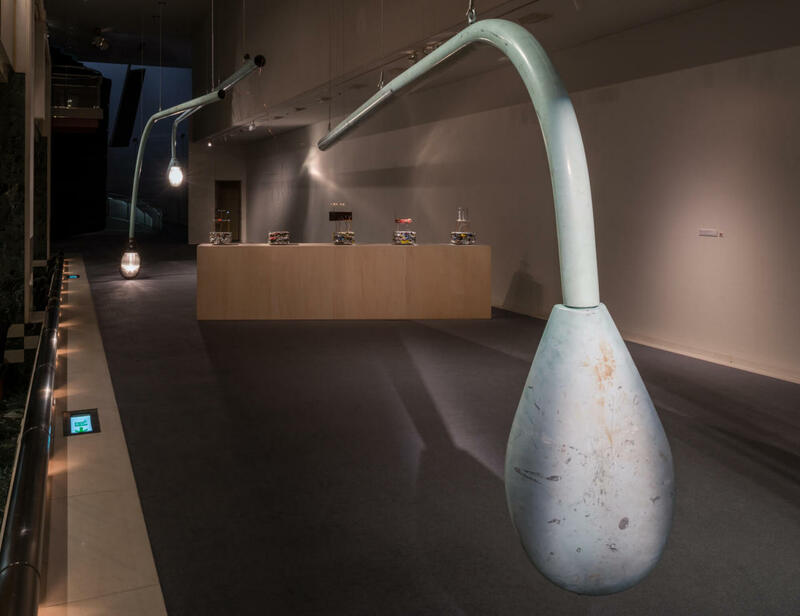 By shifting the setting of the piece from central Russia to contemporary Japan, this work depicted issues surrounding energy resources and the way in which the mountains of garbage that represent the end point of man-made objects are transformed into natural landscapes in a symbolic way. 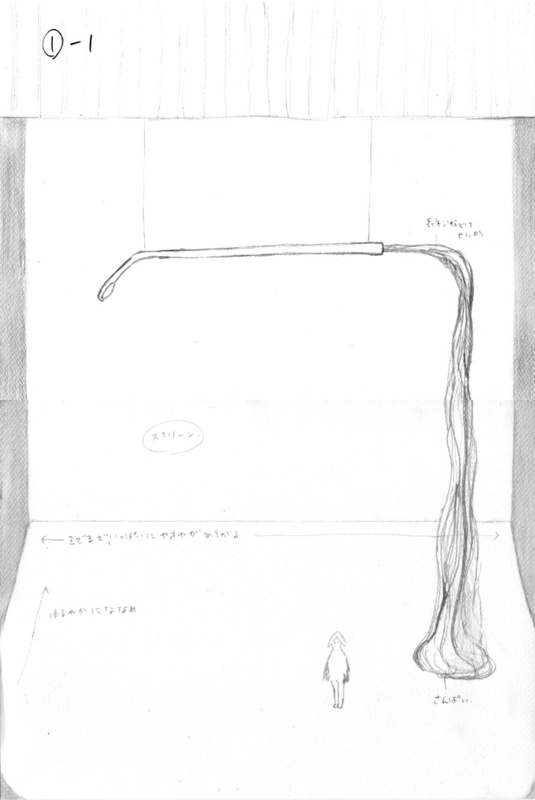 For the set design of The Rite of Spring, Mohri created a sloping mound on top of the stage, inspired by several overlapping images: the embankments used to shore up the land subsidence that she observed during a trip to Ishinomaki, one of the areas most affected by the Great East Japan Earthquake of March 2011; the areas of reclaimed landfill earmarked as venues for the upcoming Tokyo Olympics that have yet to be cleared, and which are still unnamed; and the elevated plateau of Moerenuma Park in Sapporo, designed by Isamu Noguchi and artificially constructed on the site of a former garbage collection facility. Naturally, Mohri’s mound is haunted by the specter of the mountain envisioned by painter and mystic Nicholas Roerich, original creator of the visuals and set design for “The Rite of Spring,” who intended it as a kind of divine, animistic spirit that would make the invisible visible to us.